THIS course is being updated and is currently off line. Please contact the office for further information. 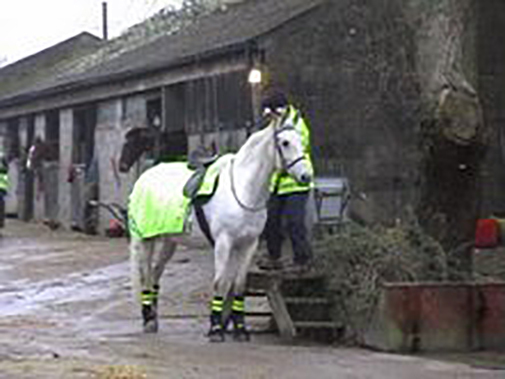 This rider psychology course is full of helpful tools to aid all standards of horse rider become more rider confident. If you want to achieve a goal, overcome apprehension issues or win at competitions this is the course for you. This specialist course SC1 was originally produced for a training day held by the BHS for Instructors. The writers/tutors offer a free SKYPE session with this course. Develop your career if you are already an enlightened coach/instructor. An optional final assignment for Certification. The knowledge and techniques included on the course have helped literally thousands of riders be more confident and / or get the mental edge in competition. The course tutors Martin Murphy & Emma Corbett run training groups both here and in Europe. Martin has contributed regularly to Horse & Rider magazine and his work has featured in many other media worldwide. Martin has worked with the BHS on instructor training. The use of modern ‘mind training’ ideas to help clients overcome unspoken ridden confidence issues. Gain new mind blowing tools and help competition clients achieve new heights. Increase your client base by using new tools and winning skills. Become the enlightened instructor with that special insight that your clients will talk about. The benefits for riders can be enormous – so much more confidence in themselves and their horse. Sometimes the instructor can see there is a confidence issue although the rider has yet to admit it. Often it is never discussed. In fact it is ignored and the rider never moves forwards. Ideal for horse riders who want to compete and win, or overcome those frustrating times when apprehension causes butterflies. Boosting confidence – riding out, in the school, over fences, cross country.